The Audew compressor comes in many different sizes, shapes, colors and designs. 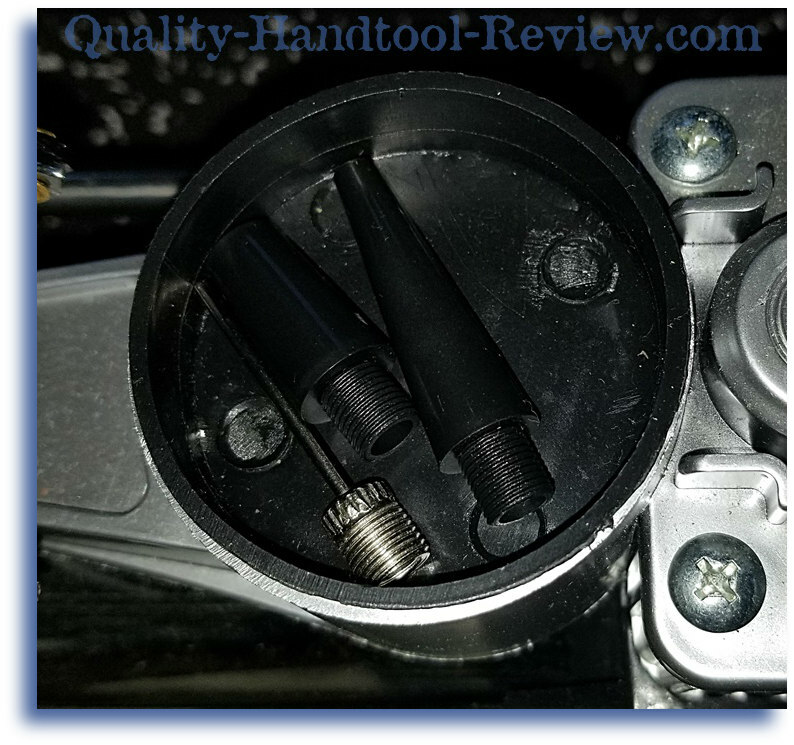 From a dual cylinder model reminiscent of a classic laydown style compressor like the one I review here to a more modern style tri-side design, all with one thing in common, they all blow. If you all of a sudden find yourself stuck on the side of the road staring at a low tire and you just don't want to, or can't drive to the nearest service station to air it up, this little plastic and metal gem just may save your day. Actually, it likely won't do a darn thing for the tire, because there's a hole in it! But what you can do is go air up your spare because you and I both know that you haven't checked the air in that one probly ever and it's likely in just as bad a shape as the one kissing the ground at your feet. The saving grace with the spare though, is that it shouldn't have a hole in it and you can air it up because you were smart enough to carry this handy little compressor with you! 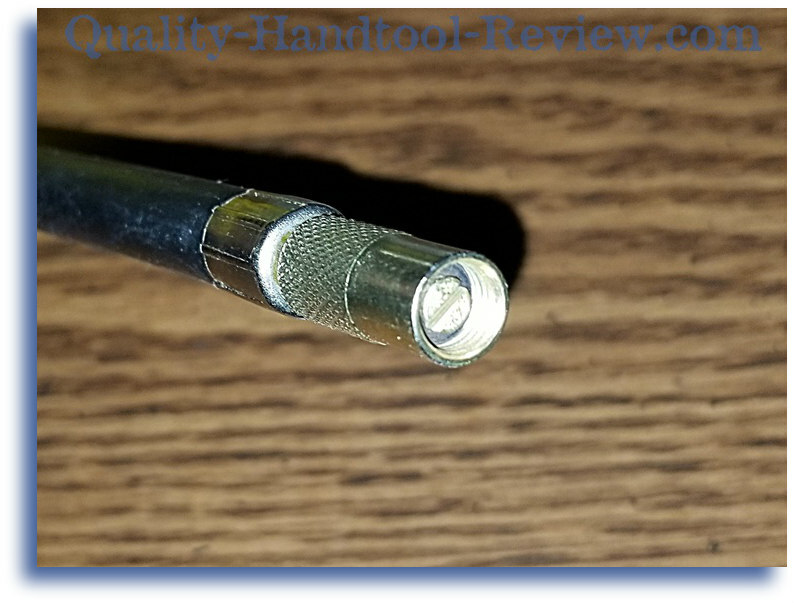 Running on twelve volts from your car battery by either plugging it in to the cigarette lighter or using the provided clamps to connect directly to the battery (the preferred method), it's easy to set up and get to pumping. 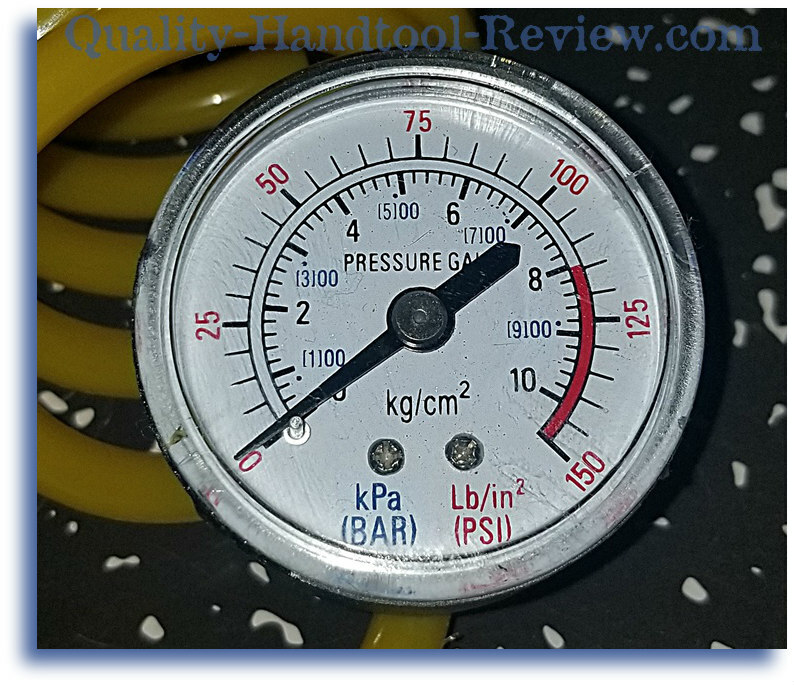 You'll see in my test that I tried to merely raise the pressure in a low tire a little and it took almost 7 minutes to merely raise it from 40 psi to 60 psi with the last 10 psi taking all the compressors ability to barely move the needle. 150 psi looks completely out of the range capabilities of this compressor. Maybe what they are referring to is the max point on the gauge, which is clearly in the red by their own design. For heavy duty cylinders I would expect very thick steel with heavy duty cooling, but you can see by the pictures below that the cylinders are only slightly bigger than a quarter and don't show anything spectacular as far as the cylinder walls. 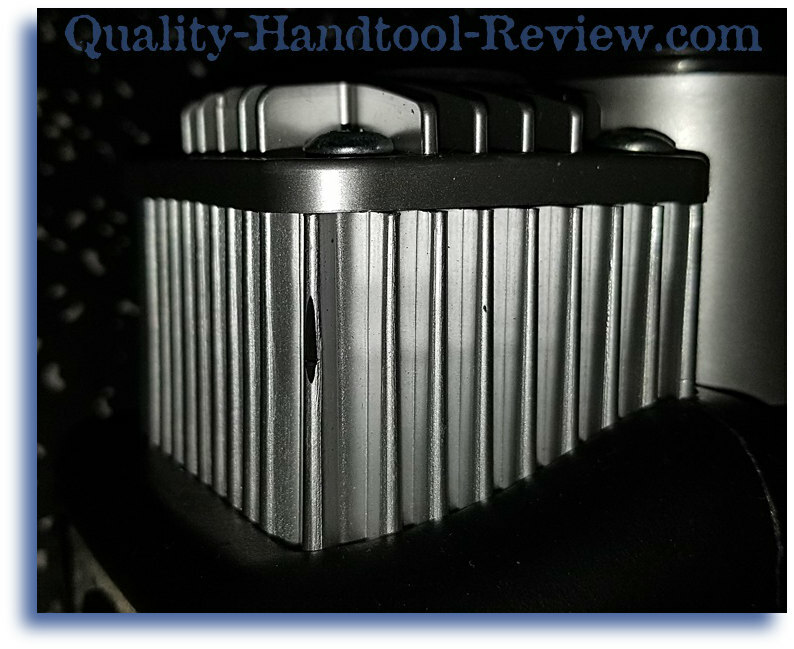 See my comment below on the "heat sink" for cooling. Audew's Quarter Sized Cylinders and Thin Walls With No Cooling Fins. See my 150 psi comment above for that. 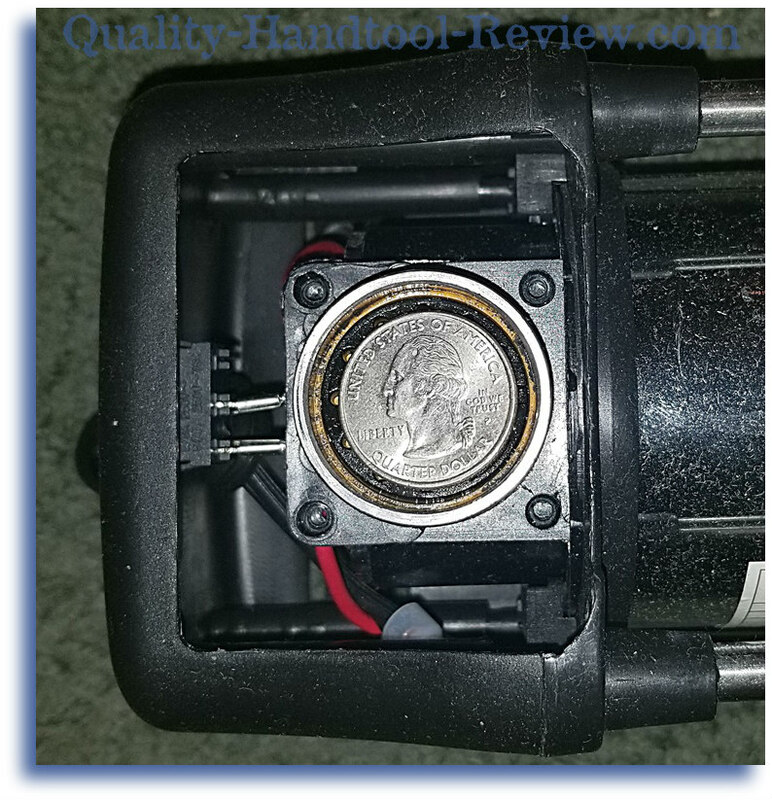 It consists of little rubber feet on the four corners that seem to do a good job of preventing the compressor from vibrating across the ground as you air your tire. It is very light and portable. 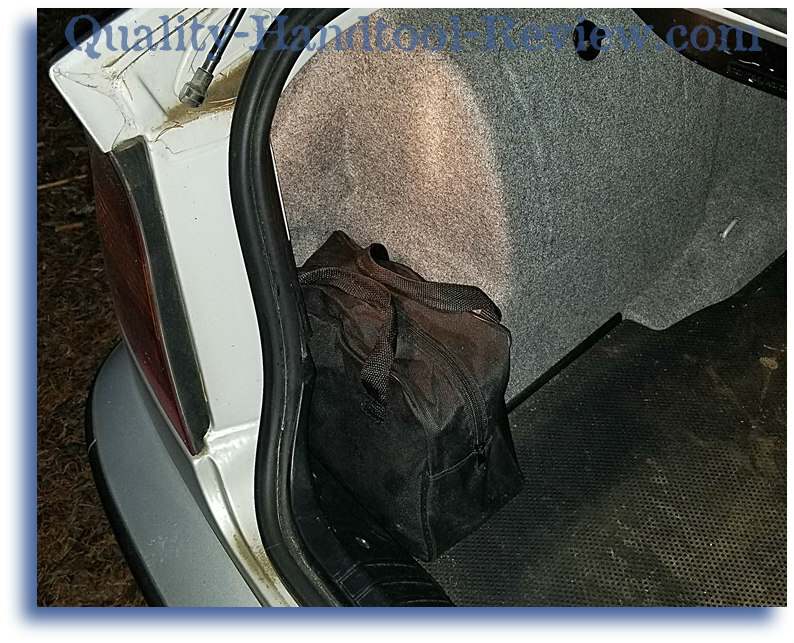 It's small enough to fit well behind the seat of a truck, in a small storage bin, and it doesn't take up much room sitting in the trunk. 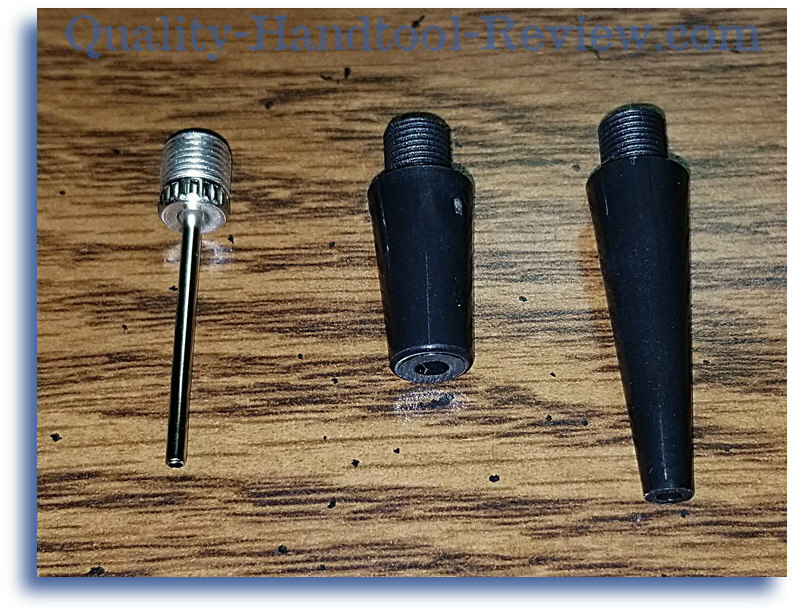 The selection of nozzles will help air up various different things with a small air hole. The positive lock on the air hose is a good feature. 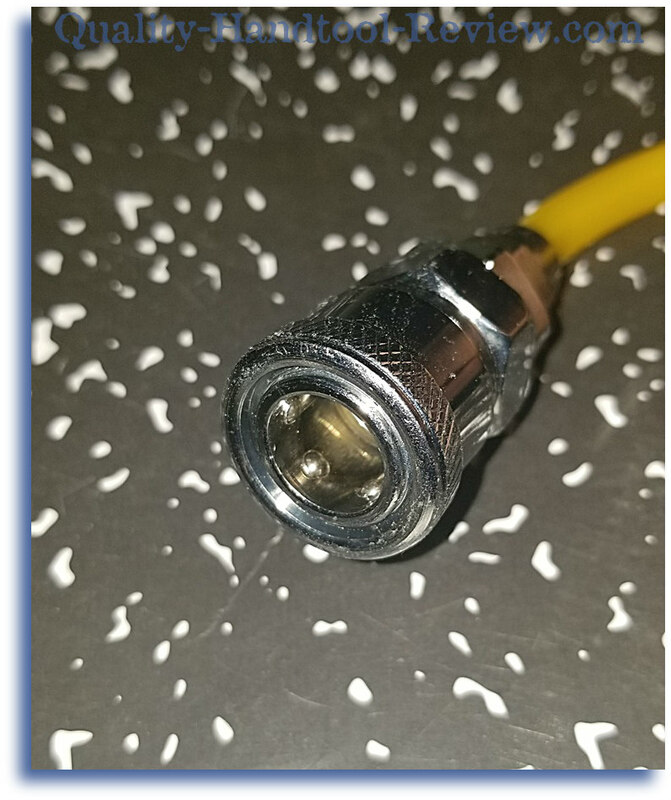 It's a standard type of connection used on full size compressors and works perfectly to positively lock the hose to any end you may need with the proper male connector or another hose to extend the length. Now, the "heat sink" on the other hand, I thought was a joke at first. Some common materials used for heat sinks are aluminum and copper. They are used on everything from computer cpu's to automotive parts to dissipate heat. It will draw heat away from the source and then radiate it out into the air to cool the item that it is attached to. 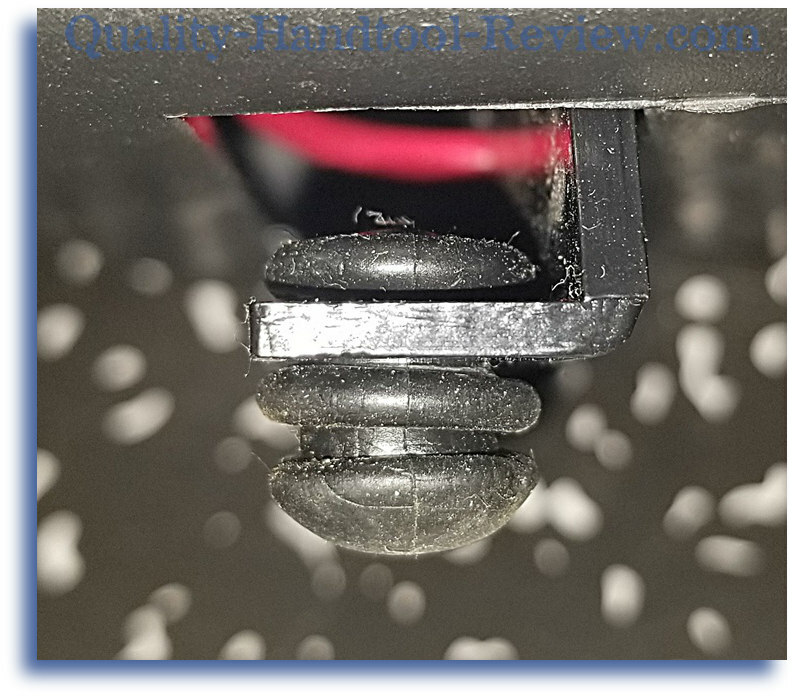 I was very surprised to find that the "heat sinks" on the Audew compressor were made from regular plastic. Now, to be clear, there are composite plastics that are used to dissipate heat but the downside is that they are much more expensive and they don't dissipate as efficiently. I think we can all agree that the plastics used in a compressor at this price point will not be using exotic plastics in it's construction. 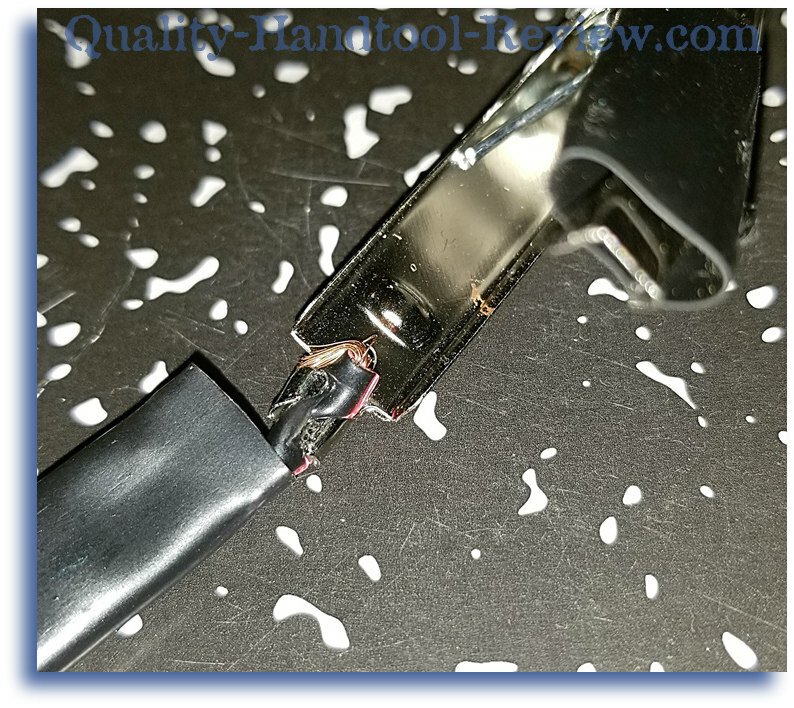 Which leads me to the conclusion that this is a standard plastic that will not dissipate heat and will likely melt at relatively low temperatures. I'm not sure what they mean by "Anti-slip and shock absorbing mat" as there is no mat of any kind. See my comments on their "Stability Technology" above. 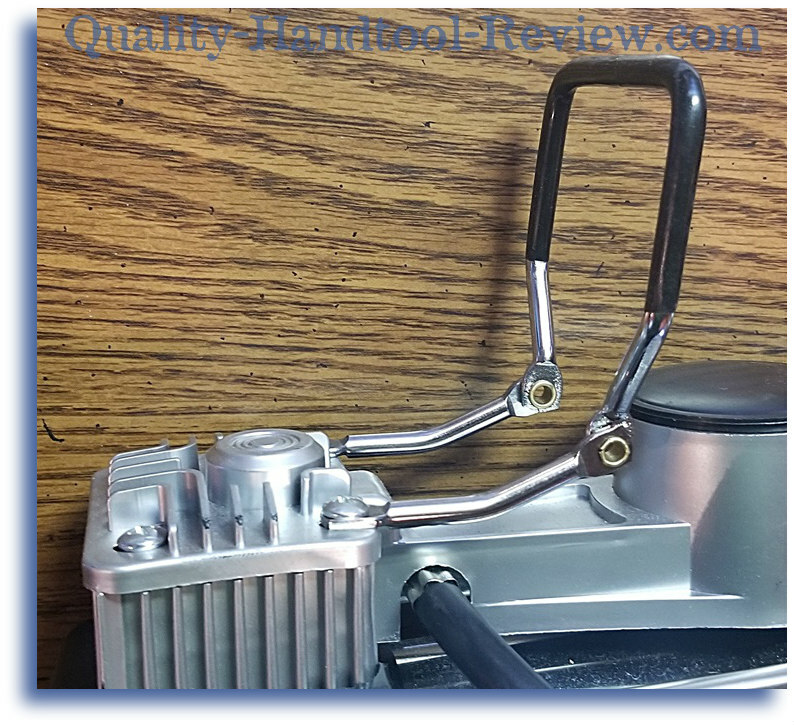 The "portable handle" would be better describes as "collapsable" but either way, it does a good job of easily folding down out of the way to make for a smaller package to pack away. Double cylinders are pretty self explanatory and are kind of irrelevant as what matters is the overall volume of the compressing pistons that will give a larger volume of air the bigger they are. So twin pistons just allow them to keep the pistons smaller than a single piston compressor and give the same performance... but there are two of them so I'm not sure how that benefits us except maybe it vibrates less? 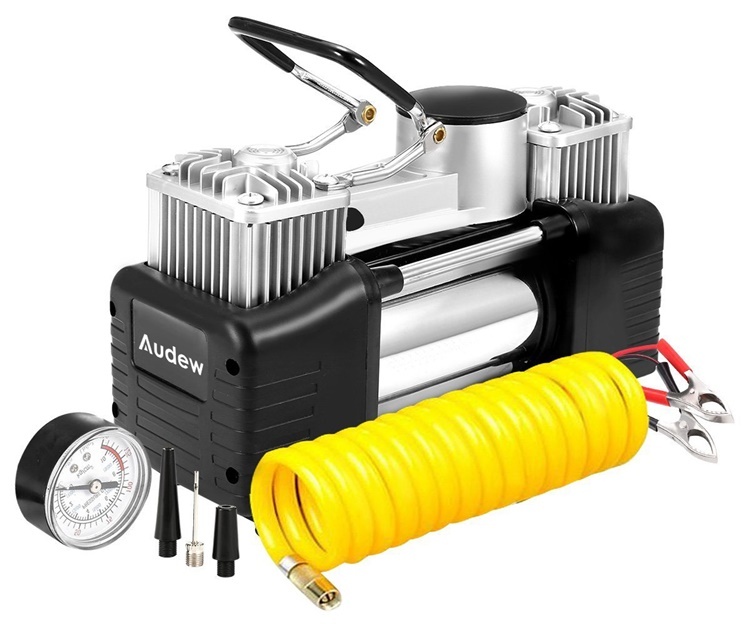 Upon first receiving the compressor from Audew, I was immediately suspicious. It came in a box made out of that very thin, cheaply made cardboard that had a label from a company called Camel as mentioned above. I thought I had been sent the wrong product and I still don't know who Camel is. But the compressor looked as it should and I proceeded to scrutinize the the thing to figure out what we were dealing with. 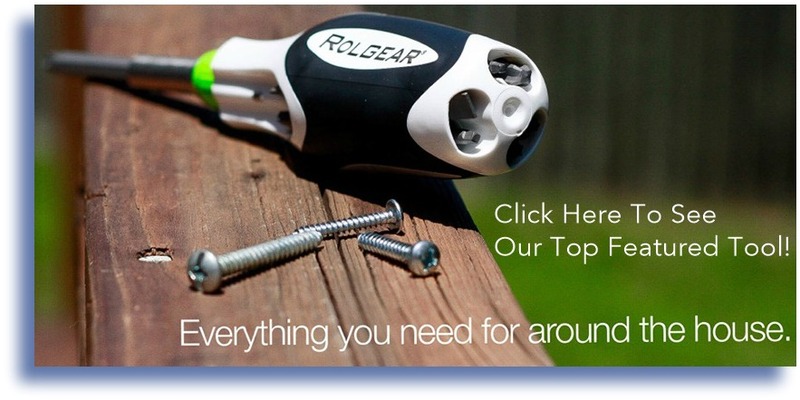 The first thing I noticed was that it came with a good compliment of parts and pieces to make a complete, useful tool. But, regardless of the well thought out pieces, that's when I started noticing the low quality of everything. While I appreciate the opportunity to have reviewed this little compressor, I think my conclusion is fairly obvious. I would never pay any amount of money for this tool. It is a perfect example of the type of tool to stay away from. And it's a shame, really because it has a lot of really decent ideas but they are just so poorly executed. I give it a rating of three for the good ideas but that's it for the quality and poor performance.